What’s the story? 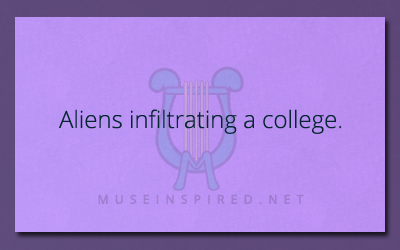 – Aliens infiltrating a college. Aliens have infiltrated a college. What’s the story?